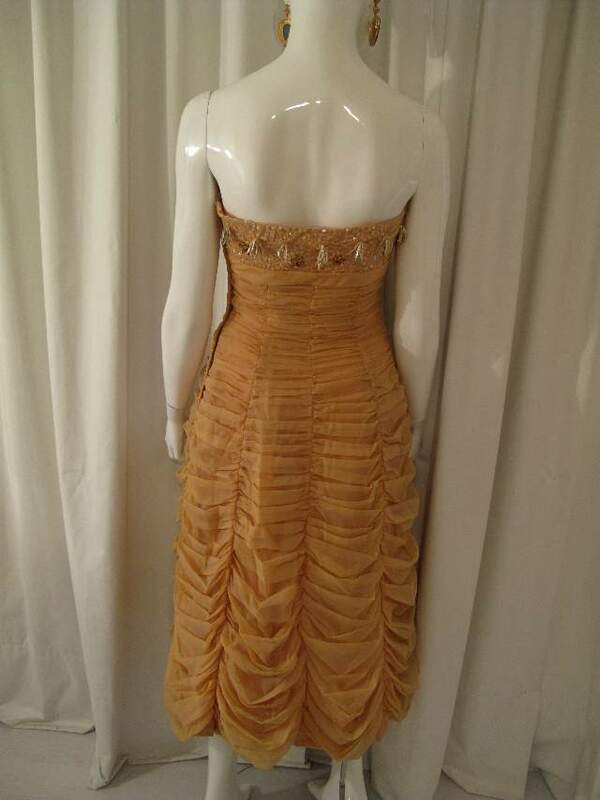 1950's Pale caramel coloured ruched vintage starlet gown. 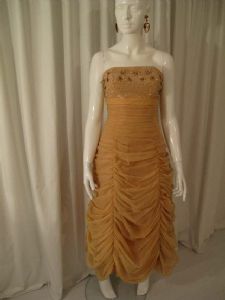 This boned strapless gown has rows of deep ruched chiffon to the hem, creating a draped 'Odeon' effect. The gown is 3/4 length and tightly fitted to the top hip, then slightly flares to the hem. There is a stiffened linen underskirt that can be starched for extra Oomph! 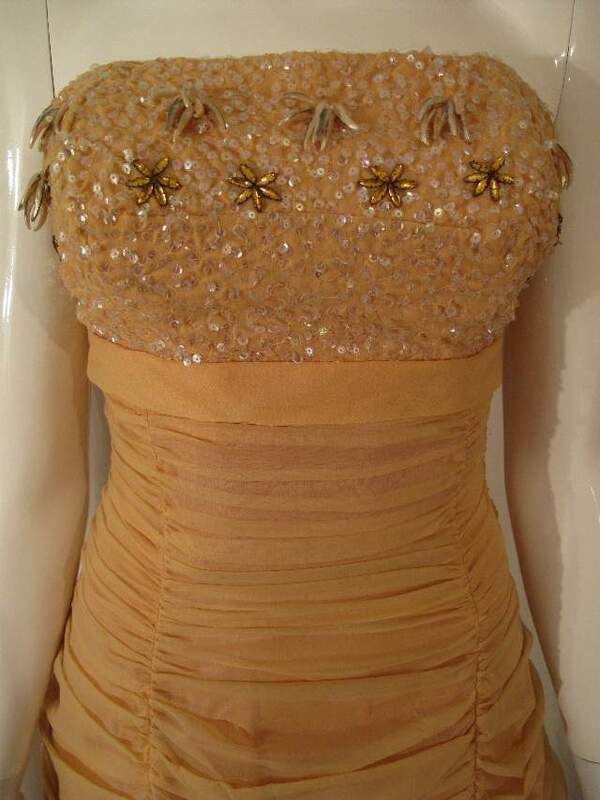 The boned bust panel is covered in iridescent clear cup sequins with rows of pearlised clustered beads and pale topaz coloured flower shaped stones. Worn with a statement rhinestone clustered necklace and killer heels, this is pure 50's vamp!